The 500 two weeks ago, the Dual in Detroit last weekend and now TMS, the races are coming thick and fast. This will be the 21st consecutive year that Texas Motor Speedway has held this event. On June 7th 1997, the Indy Racing League held the "1997 True Value 500", the 6th round of the fledgling series at Texas Motor Speedway and it was the first night race in the history of AOWR. The race won by Arie Luyendyk, driving a Panoz G-Force-Oldsmobile for Treadway Racing but not without incident. During the race, the electronic timing and scoring equipment malfunctioned in the pit area, resulting unexpected scoring errors. Billy Boat was placed as the race leader and took the checkered flag as the winner. Arie Luyendyk, who felt he had been robbed of the win, stormed victory lane, where he was lunged at by Boat's team owner, A. J. Foyt. The fight broke up quickly. The next morning, it was determined that Luyendyk actually was the official winner. Foyt refused to return the trophy. Luyendyk received a replacement and the "official" trophy years later, presented to him by track president Eddie Gossage. Sincethen it has been a perennial event on the IndyCar series calendar. by a "halftime", with half points awarded for each race. The grid for the second race was decided by a random draw, which proved so unpopular the twin race format was scrapped the following year. in 2014, the race was further extended to 600 kilometers. In 2001, CART added the "Firestone Firehawk 600" at TMS for April 29th, to their calendar. However, after practice and qualifying, the race was cancelled as drivers reported vertigo like symptoms and vision problems, after sustaining high lateral forces of 5.5G, while driving in excess of 230 mph or 370 km/h on the 24 degree banking. TMS sued CART, after it emerged CART officials had ignored repeated requests to test their cars before the race. This resulted in a legal settlement, estimated to have been around $5–7 million, which CART paid to TMS. Many pundits have cited the law suit and subsequent settlement, as a key reason for CART's eventual demise. Driver with the most wins, 4. Hélio Castroneves: 2004, 2006, 2009, 2013. Team with the most wins, 8. Team Penske: 2003, 2004, 2006, 2007, 2009, 2010, 2011, 2013. Reynard 01i-Honda HR-1 V8t, CART FedEx Championship Series. Charlie Kimball secured his first career pole position with a two-lap time of 46.5861 seconds (222.556 mph). Team mate Dixon started along side but Kimball took the lead, followed by Dixon, Rossi, Kanaan and Vautier. By Lap 20, Vautier had moved up, battling Kimball for the lead getting passed him on lap 29. Newgarden, Power and Carpenter did likewise. The first caution came on Lap 37, when when Rossi lost control, crashing in Turn 3 after making contact with Ganassi team mates Dixon and Kanaan. The field took the opportunity to make pit stops, with Newgarden winning the race of pit road ahead of Power and Vautier. However, that was not without incident. As cars left the pit-lane, Hinchcliffe lost control, causing him to spin and collect the cars of Castroneves and Sato, though all three were able to continue on after repairs. Kimball, after his strong start to the race, had mechanical issues during his pit stop and was forced to retire and finishing 21st. Race leader Newgarden and Hildebrand were hit with pit-lane speeding penalties and Hinchcliffe was penalized for the incident with Dixon and Kanaan. Once the chaos was over, Power was in the lead from Vautier, Dixon, Carpenter and Pagenaud. the field and was into the top five only 10 laps later. During this stint some drivers, notably Newgarden, began to suffer from tyre blistering, raising concerns about tyre durability. This came to a head, when on Lap 91, the right-front tyre on Castroneves's car failed, causing him to crash heavily in Turn 2, bringing out the second caution. Drivers once again pitted, with Power maintaining his lead over Pagenaud. During the caution, Hinchcliffe, Newgarden, and Sato got back onto the lead lap after the chaos of the first caution period. Racing resumed on lap 103 but almost immediately the race went back to yellow, as Carpenter and Vautier made contact, sending Carpenter spinning into Turn 1. The caution period was brief, with racing resuming on lap 108. Power still lead, as Pagenaud, Dixon, Kanaan, Vautier and Hildebrand battled and swapped positions. On Lap 139 came the fourth caution, this time for debris. The leaders once again took advantage to make pit stops but Chilton elected to stay out, putting him in the lead. On lap 149, racing resumed, however Power passed him to retake the lead. causing a huge crash that took himself, Aleshin, Carpenter, Hildebrand, Vautier, Ed Jones, Ryan Hunter-Reay and Muñoz out of the race, in an incident compared to The Big One at NASCAR races. As a result, the race was red flagged. During the red flag, Race Control and Firestone officials, in response to continuing issues with blistering tires, decided to have competition caution periods and mandatory tire stops every 30 green flag laps, for the remainder of the race. Also, Kanaan was given and 20-second hold penalty for his role in the eight-car pileup, which, once the race restarted, put him down two laps. having just changed tyres, was forced to change tyres again due to the first mandatory competition stop. During the mandatory stops, Dixon managed to get past Power giving him the lead, while Pagenaud, Sato, and Graham Rahal emerged behind them. During the caution, Kanaan managed to regain one of his laps, putting him one lap behind the leaders. still leading, while the second place battle ensued between Pagenaud, Dixon, and Sato, with Dixon coming out on top. This caution also put Kanaan back onto the lead lap. The final competition caution came out on Lap 225, with the top five drivers in the same order, after the mandatory tyre stops. The final restart came at lap 229, with Dixon quickly moving to the outside of Power, challenging for the lead. The lead switched several times, while behind them, Pagenaud, Sato, Rahal, and Kanaan caught up and began to challenge for the lead. 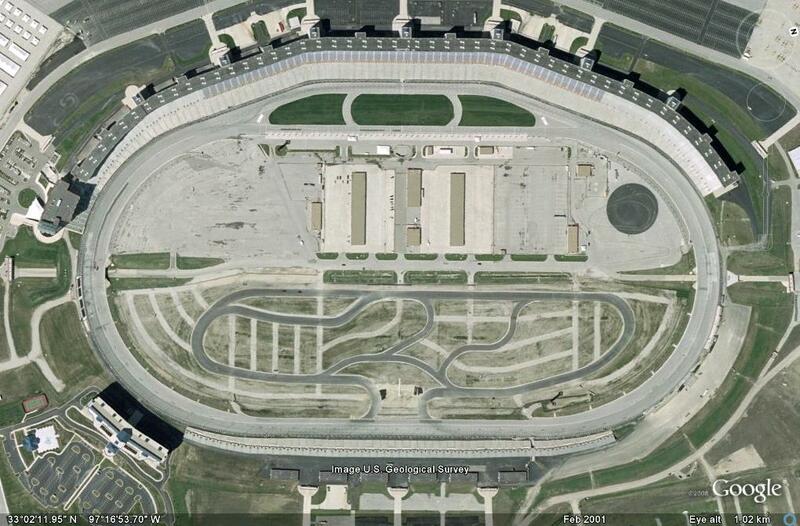 Texas Motor Speedway. Kanaan, despite his role in two incidents, came across the line in second, while Pagenaud took the final step of the podium. Only three other drivers finished on the lead lap, with Rahal fourth, Chaves fifth, and Marco Andretti sixth. Last edited by bjohnsonsmith; 7 Jun 2018 at 12:50. Seems like the boys at Indy are open to modifications as needed. maximum wing angle changed to add rear downforce for Texas, -6 degrees to -3. They had changed a few things on the floors from Indy including the sidewalls of the diffuser being removed and an inverted Gurney at the rear. Looks like a decrease in floor downforce and an increase over the top, I'm guessing to allow a bit more front wing as those angles are not limited and more front requires a balanced change to the rear. Single 90 min session prior to qualifying should mean lots of action trying out the new settings AND a new compound. Could be an interesting grid and either an interesting or terrifying race with half the cars out again this year. Think Texas is not long for Indy cars without some kind of change. More hp in the future might make this this 2001 CART insanity. This race does look pretty dangerous at times. I'll try and tune in this weekend, and hope those aero changes make things a bit safer. We don't want a repeat of last year. Didn't they lose almost half the field before halfway through? Not quite. 6 cars went out on Lap 151 because of Kanaan. The race itself was highly attritional, with 8 cars finishing in total and only 6 finishing on the lead lap. If we can compare what we saw with the new aero at Indy 2017 to 2018, I think it'll be a little less bonkers this year, but I'll still likely cringe a bunch trying to watch it. Saturday's high is going to be 100. Sunset is 836. It should cool to a mild 97 by green. Hydrate, hydrate, hydrate. I hope Wickens will have a solid weekend but can imagine it might be a struggle with the limited practice time and a new track to learn. Team Penske sort of make up for last weeks poor showing at Detroit, by taking the first three places on the grid. Can they translate this into a win; both Power and Newgarden are championship contenders? Top Honda is Wickens. Just tuned in for race coverage and saw RHR make a turkey sub. WTF is happening here?! Just thinking about the same. I woke up (it's 3:30 AM here) and saw RHR in the kitchen. A very clean and sedate start. Matheus Leist's car is on fire. Wonder if the FIA would fine him for not replacing the wheel, he threw that wheel on his way out of that fire.